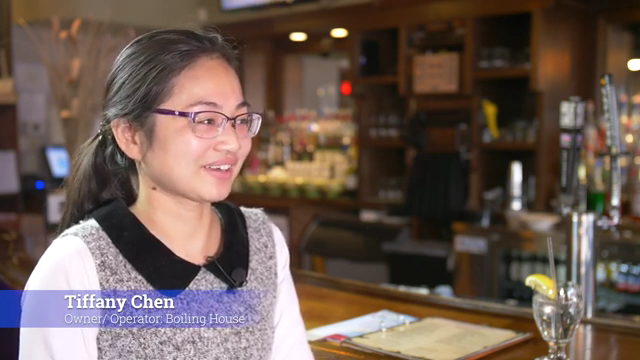 In December, Downtown Akron Partnership launched a video series called "Make it to Main" to highlight downtown Akron shops, restaurants and entertainment venues. The videos are produced by University of Akron student David Stephensen and hosted by fellow student Grace Thanasiu. David and Grace go inside the businesses to speak to the owners and learn more about what they do, why they chose to be downtown and what they offer to guests, employees and visitors to downtown. Each video details the best places to park and nearby METRO RTA stops to make access quick and easy despite construction projects in and around downtown. Support for this series is made possible by the the John S. and James L. Knight Foundation. Stay tuned to DAP's social media channels as new videos are released. To view the current videos from Boiling House, Akron Tower News and Hamad's on Main, click here.